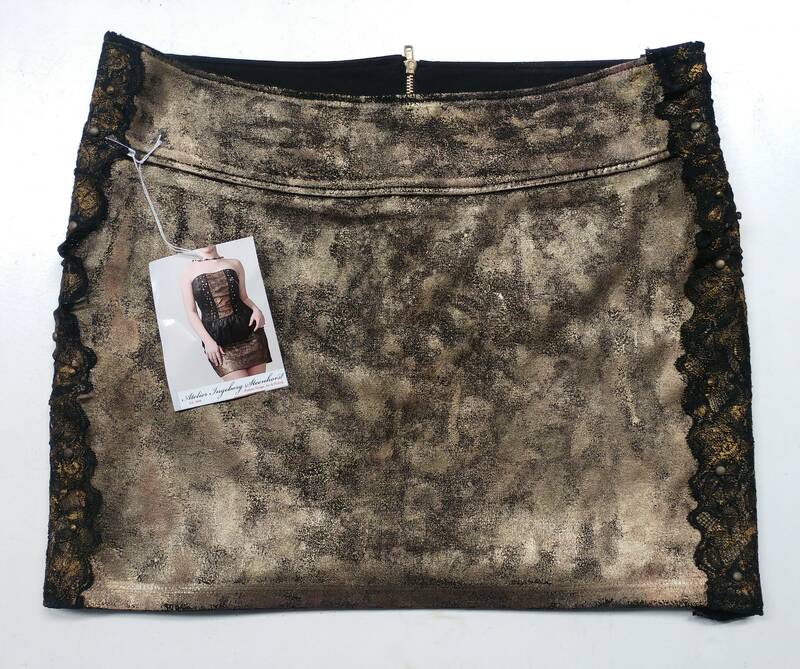 Black mini skirt with handpainted antique gold coating and ruffles black lace sides with bronze studs. NOTE: The bustier and headdress are NOT included in this listing. Check for these items our other listings.